Karlville is a global force in the shrink sleeve, slitting, tampering, inspection, and pouch industries. Since 1996, the company has established a reputation for excellence in manufacturing, efficiency, sales, service, and maintenance. Now we will continue our upward trajectory with a new state of the art facility in the heart of Miami, and a line of machines that are ready to take the industry by storm with affordability, efficiency, and support as the hallmarks of the company’s services. Here’s what vice president Raul Matos had to say about industry trends, growth in the market, and what puts23 Karlville ahead of the competition. Congratulations on all of your new products and the future of the company! Well, my partner, John Price, and I started this business about 18 years ago. We started out selling various lines and then about 16 years ago, we saw the shrink sleeve and since then we’ve serviced and installed over 1,000 machines around the world. It’s been an amazing experience. How many product lines are there under Karlville umbrella? We have nine product lines of machinery that are pretty much split between converting and packaging. We offer a full range of machinery solutions. Even though our specialty and focus is shrink sleeves. What is going on right now in the industry? Right now Karlville is going through a growth phase in our company in that we’re setting up a platform for our future growth which includes a very strong service program, and new talent to help grow our new Shrink Sleeve and Pouch center. In combination with new recent partnerships in pouch filling and laser scoring and Spout Welding which will take us to the next level. And in terms of our bread and butter business, our main business, which is Shrink Sleeves… that remains our strongest product line. To what do you attribute this growth and continued commercial strength? Our product line is very wide. We support from the digital printers at HP to Wide Web printers that print in Wide Web Format. We have a very wide product line with five different models of feeders designed for a specific application each. 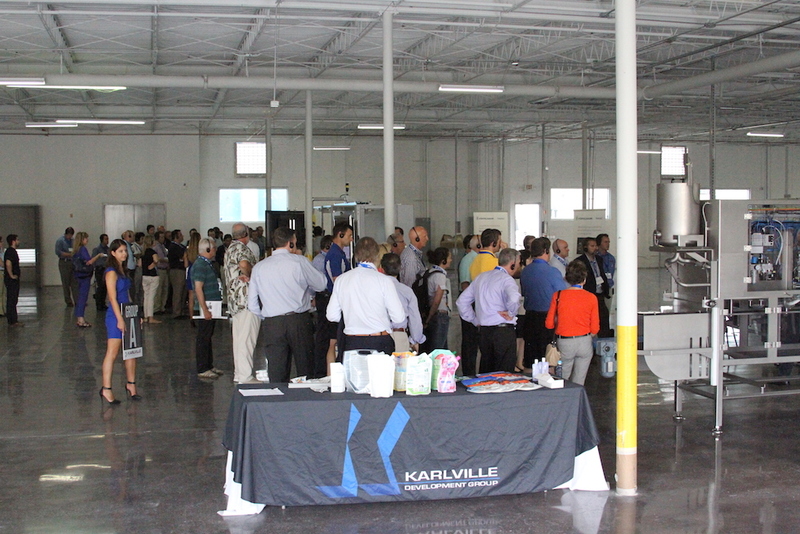 What can you say about the new Karlville Facility that will be opening soon in Miami? Our new state of the art facility is not only a service center but also a demo center as well as a contract packaging operation. This will allow customers to enter new markets and also allow us to develop new machinery and sales. How will it benefit existing Karlville customers? Existing customers will be able to come in and train not only in Shrink Sleeves, but also learn about different materials, different tunnels, and different applications that they might not know about, have never experienced, and could greatly benefit their business. 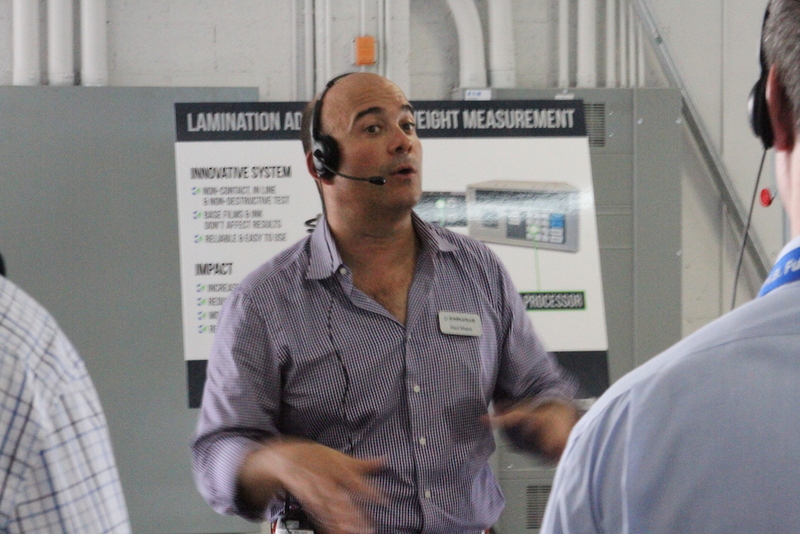 It’s a knowledge base, a demo location, and it’s on the cutting edge of technology in every respect. We’re very proud of it! What can you say about the new Slitter technology? In terms of slitting, we want to highlight the launch of our new KSI 1000 which is not only a slitter but also an integrated inspection machine that dos both slitting and inspection in one step. It’s a machine that is designed for the mid-web printer. Mid web printers work in 800mm or 32” wide increments. What’s going on with that is that a lot of narrow web printers are looking to mid-web printing as they expand in flexible packaging applications. What can you say about the AVT Apollo Turbo camera system integration on the KSI 1000? It’s basically a 100% inspection camera that automates the inspection process. We developed a partnership where we are able to integrate their cameras into our machinery for a total custom turnkey workflow solution. What other innovations are available for the KSI 1000 slitting machine? We have some very important news in our new partnership with LasX Flex Pack Services. We’re announcing that at the upcoming Pouch Conference. We’re going to bring a laser unit into our Miami facility for demos as well as contract scoring and perforation services. The partnership is formed to promote equipment sales with laser integration to companies buying slitters in the U.S. and Latin America, as well as for contract slitting services in the Southeastern U.S.
How is business in Latin America? The biggest thing happening in Latin America is the pouch business which continues to grow, as it also does in the United States. The benefits are exponential for the top converters there that print with wide web technology and make pouches. We have been very successful selling pouch converting machines in the U.S. and Latin America. We’ve sold over 150 so far. Why are pouches getting so popular? The reason pouches are so popular are sustainability, logistics, and cost. Also, they’re very user friendly. And kids who have grown up drinking juice pouches are now seeing them used for cereal, yogurt, and all different types of products they haven’t seen before. And the pouch manufacturing generates 50% less emissions, and uses 50% less plastic. So we’re leading the charge for packaging that offers an environmental benefit. How important is creating efficiency to your product line? Well each product has different values and different considerations that make it ideal for a variety of situations. Specific to the converting line, our machines are very robust and efficient, and high technology. Our slitting, lamination, and shrink sleeve machines are considered among the top technology in the world. Some are better for changeover or digital applications or high production. It’s just a matter of the need. What makes your machines better than the competition? Well it’s not just the machines but the training, and the service too. We design everything to be operator friendly and simple to use. We also offer maintenance and training in the art of it. We do all of this in English and Spanish. Our machines and many of our technicians that install the machines are multilingual. What can you do for large corporations entering your space? In terms of our pouch business, our strategy is to develop business in new liquid categories. We’re setting up our new contract filling factory to enable large growth in the home care and personal care markets: This includes cleaners, shampoos and detergents. Products that are high volume and where a lot of the weight is bottle weight. We introduce the pouch and its savings comparison, and the fact that pouches use 70% less plastic than bottles, and now we have the large corporations and brands embracing our new liquid pouch filling facility to develop this important category. In 2016 we’re going to be coming out with some new machines which will turn heads in the market. Our global partnership with 3M to develop tape multipack solutions will surely allow CPGs to become more sustainable and efficient. It has been a pleasure working with 3M as we share a common vision for the market. We’re looking forward to working with all our customers, brand owners and to having much success. Let’s continue to grow and prosper!